COMEDIAN. ACTOR. WRITER. PRODUCER. ENTREPRENEUR. RADIO PERSONALITY. 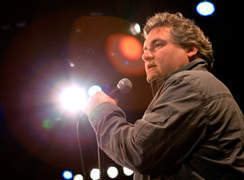 From stand-up to sketch comedy to movies, TV and the biggest radio show in the world, Artie Lange has done it all in the comedy world. His decidedly non-PC material often consists largely of observational bits and storytelling. Artie is often compared to one of his idols, John Belushi and remains one of the funniest guys around. Artie was born in Union, New Jersey, in October of 1967. A talented athlete and die-hard New York Yankees fan at a young age, Lange had dreams of playing professional baseball. But, as he got older and gained a reputation for being the class clown, he began to consider a career in stand-up. Lange performed his first stand-up comedy routine at 19 years of age. He took up work as a longshoreman to help support his family. In 1995, Lange starred in the first and second seasons of MADtv. Lange was also featured in Dirty Work with Norm Macdonald, who brought Lange into the second season of his sitcom, The Norm Show. In 2001, Lange replaced Jackie Martling on The Howard Stern Show and stayed until late 2009. He quickly became one of the most popular characters on the show. Lange has released comedy specials – It’s the Whiskey Talkin’ (2004) and Jack and Coke (2009). 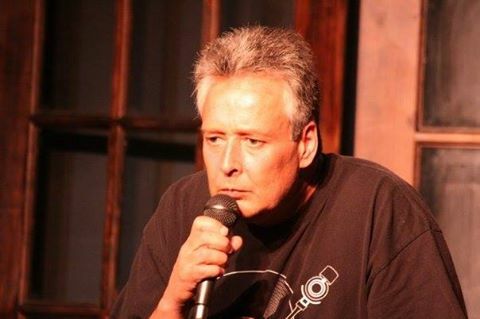 He co-wrote, produced and starred in his film Artie Lange’s Beer League in 2006, and co-wrote, with Anthony Bozza, the book Too Fat to Fish in 2008, which entered The New York Times Best Seller list at number one.